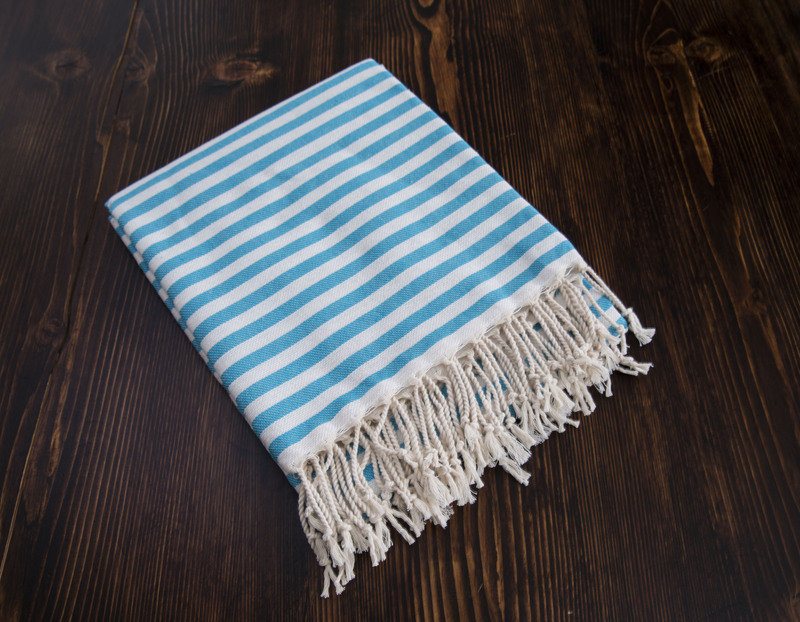 A hand loomed towel made of 80% cotton and 20% bamboo. Beach goers this is a must have for you. The size of the pestemal is 36"x72". Cover your bathing suit and dry your self. it does not take much space in your bag. Boat owners don't fill your closets with traditional towels give a pestemal to your guests. Spa owners use pestemal towels on your customer, give them as a gift, make them available for sale. Add beautiful colors to you bathroom.